The Rec Room - Our Story - What's in The Rec Room? Located in South Edmonton Common, a 320 acre retail power centre, just a short drive from the Edmonton International Airport, 20 minutes from Downtown Edmonton, and situated conveniently on the city’s highest traffic thoroughfare, Anthony Henday Drive. 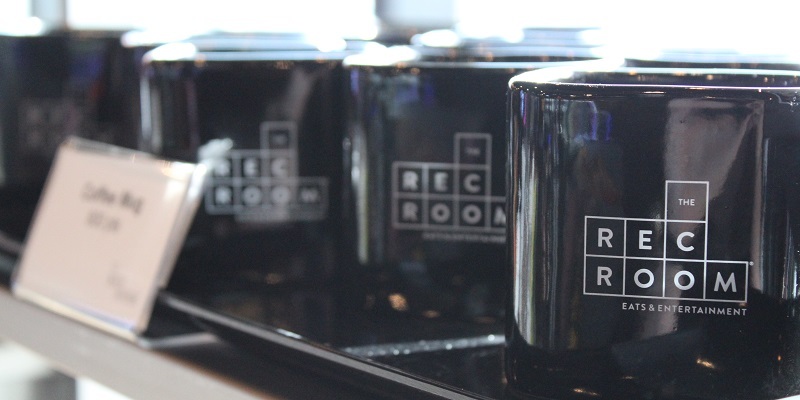 The Rec Room redefines the meaning of fun with over 60,000 sq. 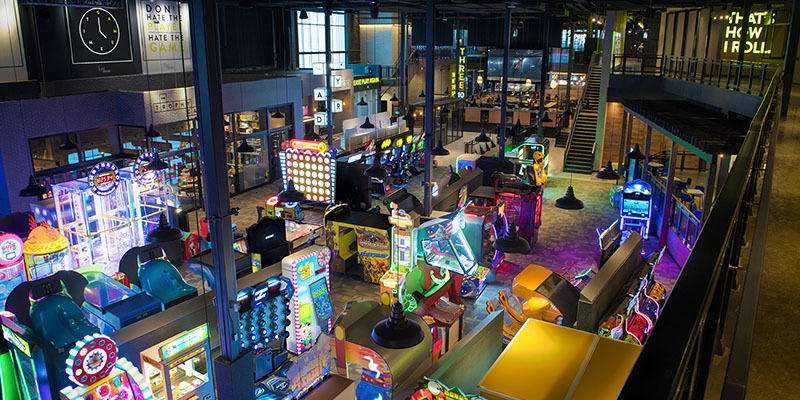 feet of great games, mouth-watering eats and amazing entertainment, all packed under one roof! 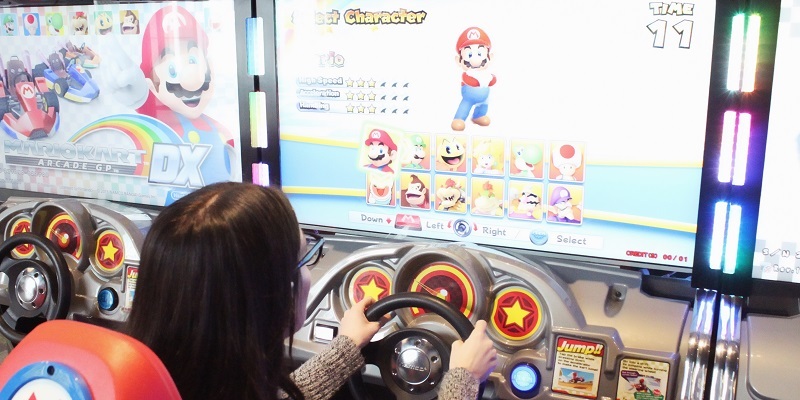 The Rec Room is the place to let go, be playful and experience something new and exciting. 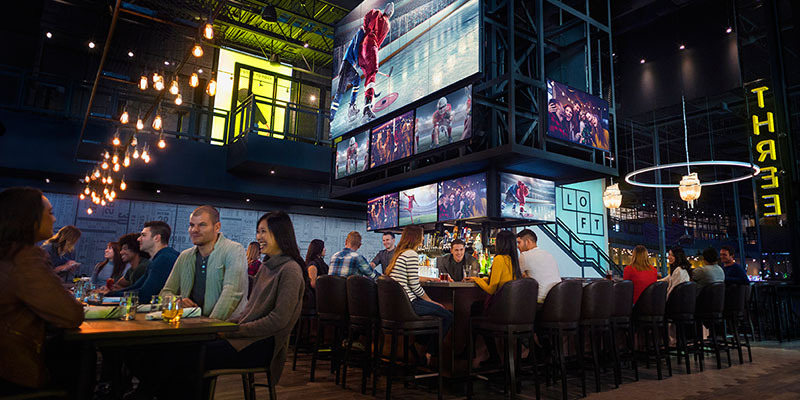 We’re Canada’s premier “eats & entertainment” hot spot, and we’re taking Edmonton by storm! 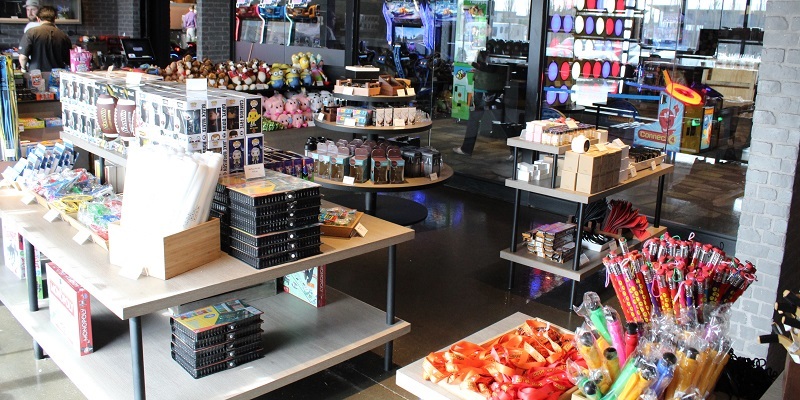 With Canadian-inspired cuisine, video & redemption games, live entertainment, and more, The Rec Room is the ultimate gathering place to grab a pint, host an event, or just play. 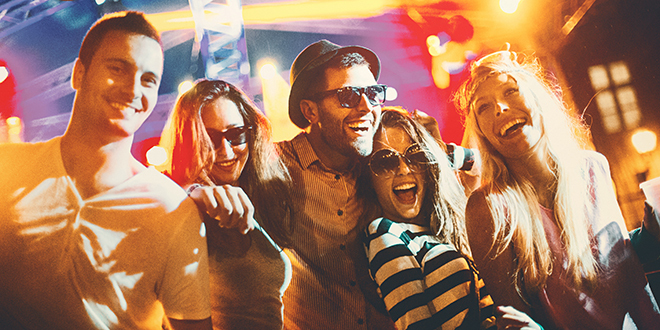 Your new social playground has arrived! With two great restaurants to choose from, we’ve got the perfect pairing for any occasion. THREE10: Three territories. Ten provinces. A whole nation of inspiration. Wood-fired, Canadian inspired cuisine. 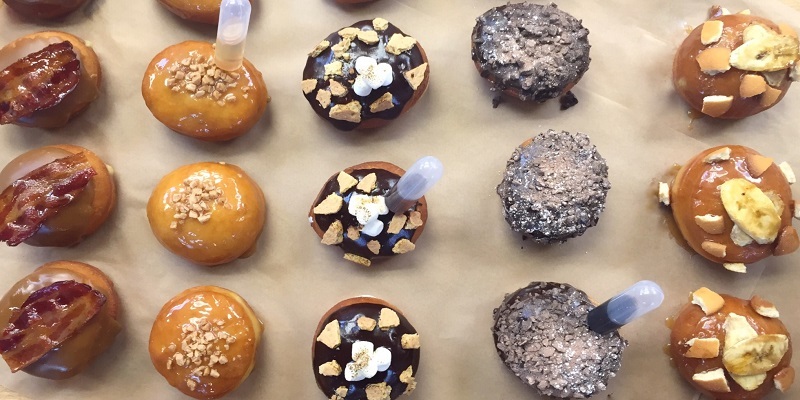 THE SHED: Poutine and donuts – both pair perfectly with the thrill of victory and the agony of defeat… Head to The Yard for food that's as fun as your time at The Rec Room. The hottest comedians. The coolest bands. All in our state-of-the art auditorium. 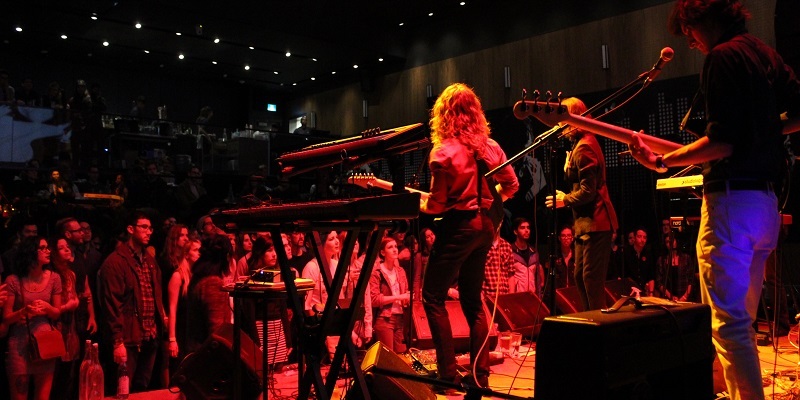 Experience the best in live entertainment in The Hall and become the envy of your newsfeed. PING PONG: Make a racket. Fiery hot serves followed by ice cold victory drinks. BOWLING: Split happens! 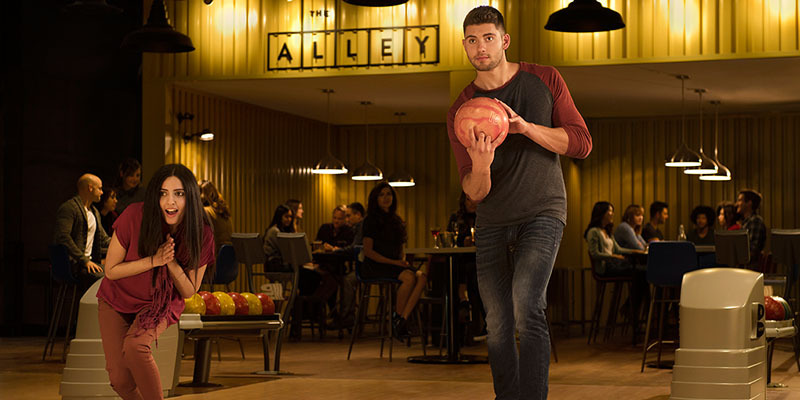 You didn’t think you’d have a cool bowling story to tell your friends – until you experience a whole new era of bowling, and show us how you roll. POOL: Hustle or be hustled. Grab some food and drinks and rack'em up. After you’ve racked up points on the redemption games, strut with pride over to the Trophy Case and select the spoils of victory. What’s cooler than being at The Rec Room? Walking out with The Rec Room branded merchandise. Check it out on the main floor near the entrance. Hit The Rec Room gaming floor for state-of-the-art video and redemption games and then celebrate at The Shed with poutine and donuts. 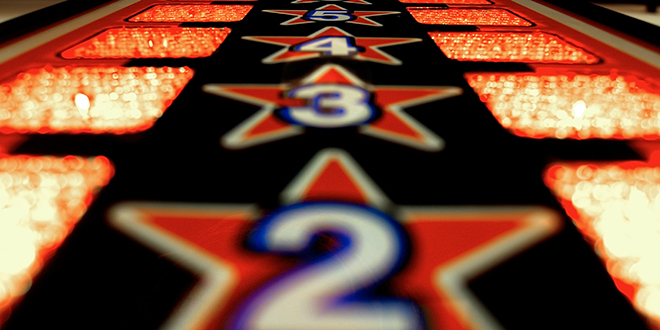 Don’t hate the player – challenge friends for high scores, bragging rights or the next round of drinks! 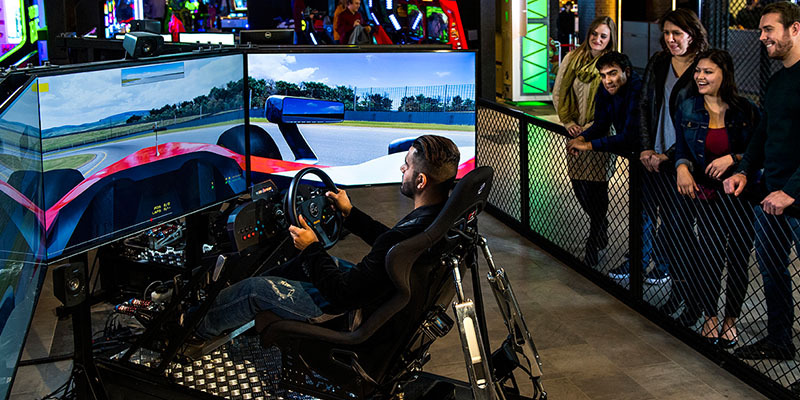 Only the thrills are real in our next-generation racing simulator. Any closer to the real thing and you just might find yourself soaked in champagne. Remember a simpler time when moles were made for whacking and balls were for… skee-ing? Well, that time is back at The Rec Room. Play games. Win big. Then head over to the Trophy Case to collect the spoils of your victory! Delicious food, live entertainment, gaming and an atmosphere that creates the right vibe every time, The Rec Room custom-tailors your event to impress. Office parties, social clubs, birthdays, bachelor/ette and whatever your reason to celebrate, we will take the work out of the planning. 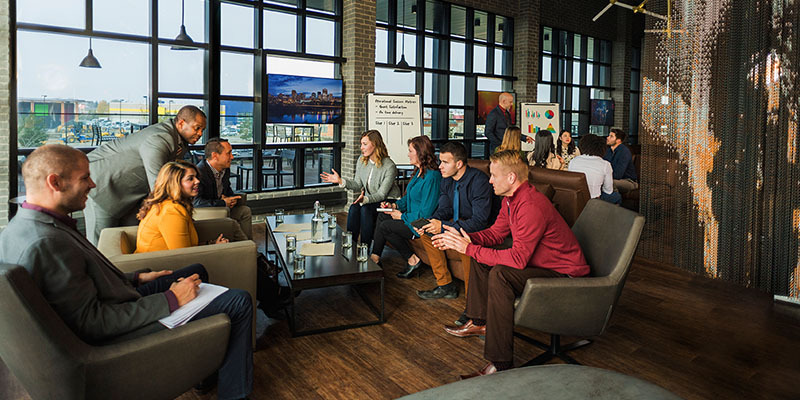 With flexible space suitable for private meetings, large groups, luncheons, team building, seminars or even exclusive use of the building, you’ve found your new go-to destination for turning your next meeting into an event. A big event deserves a big screen. Look no further than directly at one of our many big screens available for your viewing pleasure. Or turn an eye to the even more massive screens above the main bar and in The Hall. Get your fix of sports, eSports, pay-per-view, and even a few classic movies from the comfort of your own booth or bar stool – with our awesome mix of drinks and munchies available to make your viewing even better. Are you ready to get in on the action?